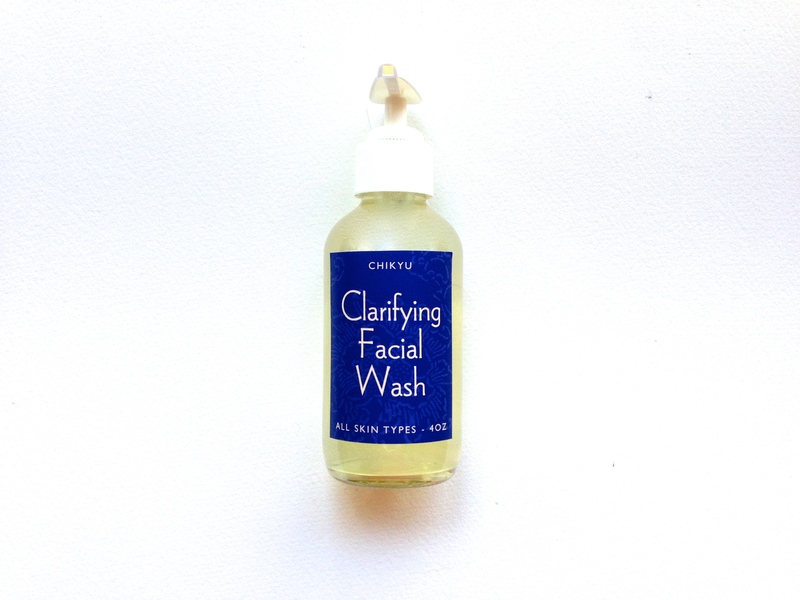 CHIKYU’s Clarifying Facial Wash was formulated with care with all skin types in mind. This invigorating mild wash is packed with a myriad of enriching ingredients to effectively clean and gentle enough to be used daily. 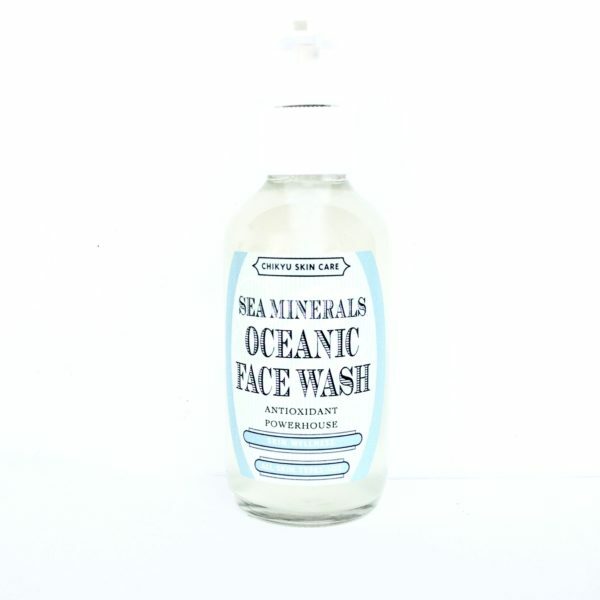 It washes away dirt and impurities while conditioning the skin with skin loving botanicals. Our Clarifying Facial Wash not only contains botanicals, but essential ingredients complete with skin enriching nutrients such as silk amino peptides, hylauronic acid, AHA’s (Alpha Hydroxy Acids) and much more. This combination of ingredients are designed to help brighten, clean and tighten pores without compromising your skins natural pH balance like most products on the market. It is an “all in one” Facial Wash containing a well-balanced blend of vitamins and skin conditioners known to beautify the skin as well as leaving it clean, soft and refreshed! Directions for Use: Shake well before each use. Dispense small amount of Face Wash into palm and create a lather. Massage onto face. Rinse face thoroughly and pat dry. NOTE: Natural separation may occur, simply shake well before using. 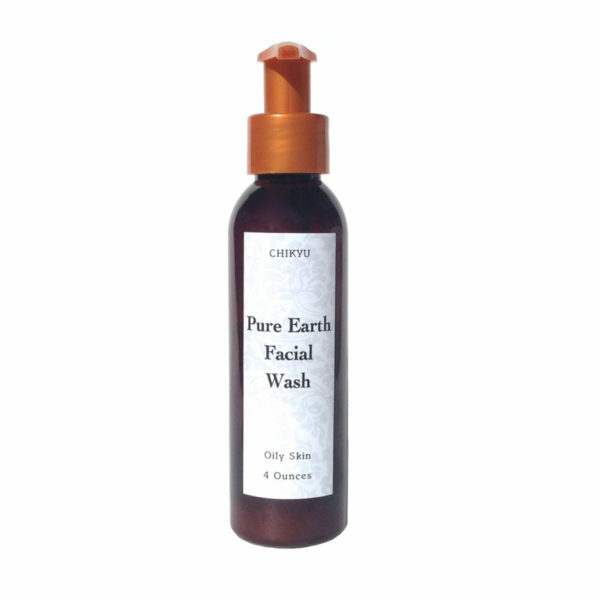 **Note: Because CHIKYU refrains from using harmful agents e.g., parabens, sulfates of any kind, our Clarifying Facial Wash will not produce suds but rather lightly foam. – B3 (Niacinamide) stimulates blood circulation in the skin and activates oxygen transport. – B5 (Calcium Pantothenate) is known as the “Moisturizer” which maintains the moisture level of the skin. – B6 (Pyridoxine) is a cell activator with stimulates cell growth while maintaining it in a healthy state. – Bearberry Extract is known for it’s ability to be an effective skin lightening agent, evening out skin tones of all types. – *Green Tea Hydrosol is a rich source of anti-oxidants such as Vitamin C and Vitamin E. Green Tea is said to help repair the effects of aging and environmental factors. The active constituents in green tea are the catechin polyphenols which are potent antioxidants. – Hyaluronic Acid is a carbohydrate, a mucopolysaccharide naturally present throughout the human body. Hyaluronic acid acts as a space filler by binding to water and thus keeping the skin supple. 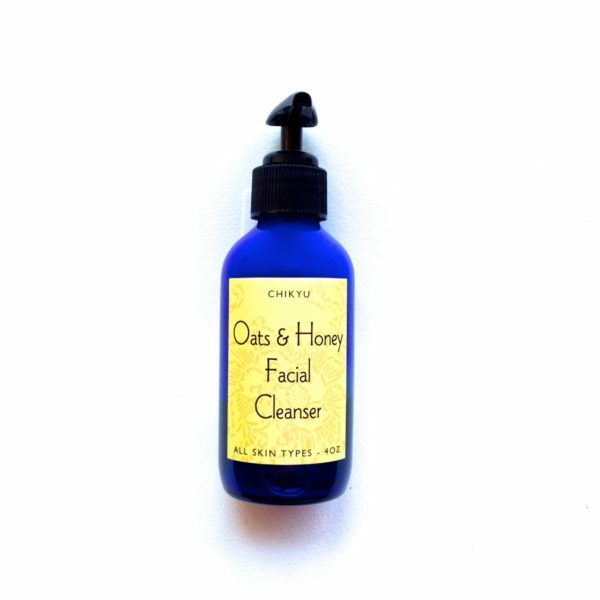 -*Raw Witch Hazel (Non Alcohol) is known for soothing even the most sensitive of skin while helping minimize pores. – Silk Amino Acids are derived from a natural fermentation process utilizing a plant substrate such as molasses. These are exactly the same amino acids found in collagen and elastin. Each amino acid is made from plant sources and is painstakingly purified. These amino acids are then carefully blended to match the optimum amino acid composition in collagen. By utilizing the unique delivery system in this amino acid blend, the skin now has available the amino acids necessary to beautify and repair itself on a daily basis. Each CHIKYU product is made with purity in mind. Therefore, products are made to order and handcrafted in small increments without the use of harmful toxic agents or chemically derived preservatives. CHIKYU’s Clarifying Facial Wash will sustain a shelf life of no more than 3 months from the date it was made. Once your product is made, an expiration date will be provided. Favorite morning cleanser! My skin loves it. I like how gentle this wash is on the skin while leaving a clean feeling. Packed with antioxidants and no harsh ingredients (chemicals), it is my preferred choice for face cleaners. This seller is awesome with her shipping and with her loyalty to her customers. Her products are #1! Very nice cleanser! Takes off all my makeup with no tight feeling. This had the prettiest packaging! The cleanser is very clarifying, but not drying which is great. I will purchase this in the full size when my sample runs out. Just started using this product and I’m absolutely in love! I can already see a difference. Also, AMAZING customer service. I had some questions before I decided to purchase some products and she was super fast at responding and super nice! Totally recommend others to try her products. Great cleanser that I use almost every day! This is my nighttime cleanser after I have removed my makeup with either a balm or an oil cleanser. I love it! Great scent and it doesn’t irritate my super sensitive skin. Quick shipping and beautiful packaging as always. Thanks! Feels good, just trying it out, using it after a close shave. We will see, so far very nice. Great packing and always some other nice items to try, thanks! Leaves my face looking flawless and congestion is gone. It cleans well without stripping. Plus, shipping is super fast and the extra goodies are great. One of my favorite vendors. Loved the sample so much I had to get the larger size! This is the cleanser I use every night after I remove my makeup. It does not irritate my skin in the least. Thank you so much! I left a longer review on the cleansing oil, but I will reiterate here that I love the products I bought from Chikyu. They suit my sensitive combination skin. I feel better about my skin than I ever have before.